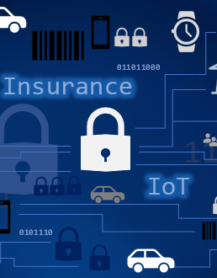 The insurance industry is in danger of being sidelined by the IoT, as manufacturers and service providers use their operational data to better tackle risk and unplanned downtime. These businesses could offer insurance as part of a bundled service, moving the customer relationship from the hands of the insurer and into that service provider. As IoT-data removes uncertainty from the risk calculations, the traditional insurance market is poised to shrink. However, data-driven usage-based insurance (UBI – akin to pay as you go) presents new opportunities for the insurance industry, and if data-sharing relationships can be brokered with customers, insurers could find themselves sitting on vast troves of valuable data that could be monetized – should the temptation strike them. This paper will outline the impact that new insurers will have on traditional insurers, and examine the transformative impact that the IoT will have on them. It will also document the current insurance industry’s opinion of IoT technologies, and how they will affect their businesses. This 24-page report cites the opinions of major insurance groups worth $100billions and asks how they plan to navigate the rising Tsunami of change that Insurance will go through as the IoT develops. It asks and answers the questions about when and where Usage Based Insurance (UBI) will emerge for drivers, whether or not there will be a new technology start-ups growing out of IoT Insurance and evaluates new concepts, such as how insurance companies might handle consumer “Data-Sharing,” and how and in which sectors, that could bring down insurance costs. The report notes that already Tesla is talking about in-sourcing insurance if it continues to keep prices high once self-driving cars reduce the number of accidents on American’s roads and creates falling driving risk. We talk through the implications of Vehicle as a Service (VaaS), and how that might bundle an insurance offering and be marketed entirely by car firms. How might the IoT bring down the cost of Health insurance through the use of wearables and monitored fitness programs. The insurance industry and car makers, in particular, have a lot to talk about, but in the end, will the burden that insurance companies place on society go down over the coming years, or stay right where it is?